Inflammation is a part of the body immune system. However when it gets out of control it can pose a risk to our health. It plays a role in obesity, heart disease and cancer. Various types of foods cause over activity of the immune system and can increase chances of inflammation to the body. There are however, natural anti inflammatory foods that will be beneficial to you. Here are five of the best. The gospel of whole grains has been told and retold time and again. In addition to being healthy or the body, they can also counter inflammation. This is because whole grain has fiber which can help curb the onset and severity of inflammation. But while you take whole grain foods, consider the sugar levels in some of them. Too much sugar can aggravate inflammation. This is another great type of natural anti inflammatory foods. 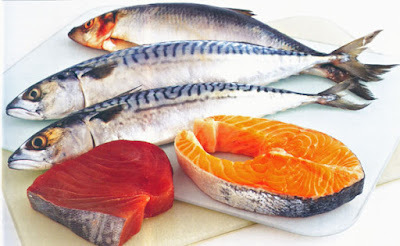 Fatty fish such as salmons, tuna and sardines contain omega 3 fatty acids which are effective at fighting inflammation. If fish is not your cup of tea you may consider fish oil supplements. Other great natural anti inflammatory foods are vegetables especially leafy green vegetables. They contain cytokines and they are higher in vitamins such as calcium and iron which are all good at combating many kinds of diseases including inflammation. Although sometimes dairy is related to inflammation as some people are allergic to the protein in dairy, it can also be used to minimize inflammation for those who are tolerant to dairy products. You don’t have to resort to medication, either prescription or over the counter, to deal with inflammatory diseases such as arthritis. Go with the safer, healthier option which is natural anti inflammatory foods.